DEEPLY DISCOUNTED PRICING FOR NAIS MEMBERS ONLY! ALL DISCOUNTS MUST BE TAKEN AT THE TIME OF SALE! YOU CAN ORDER ONLINE OR CALL 512.719.3595! NAIS member under special instructions and list NAIS members only pricing! NAIS MEMBERS ONLY PRICE STARTING AT $389.95 ! NEW GENERATION FINGERCAM FOR 2006! 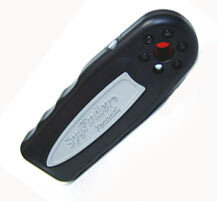 World's Smallest Color Wireless Covert Video Camera! Complete Kit! With Tiny Wireless Color Camera, Receiver, Battery Power Adapters, Power Plug Adaptors, RCA Plugs And Everything Else You Need! Easy And Fast, Ready To Go Complete System! SPECIAL NAIS MEMBERS ONLY PRICING! WITH PI BLACK DVR-NO BATTERIES ARE NEEDED FOR CAMERAS BELOW! NAIS MEMBERS ONLY PRICING STARTING @ $295.00! 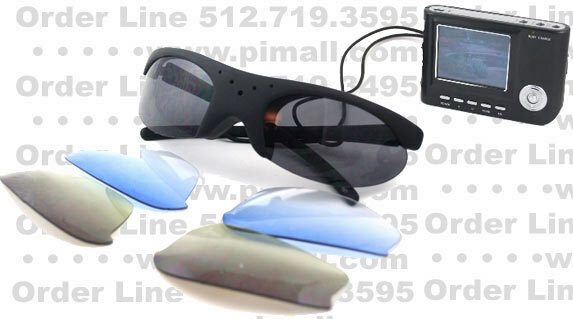 The Very Best In Covert Video Bodyware! 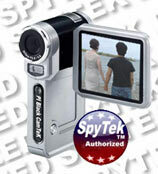 Special Pocket DVR Option That Actually Powers The Covert Video Camera! A New Revolution In High-End CCD Multi-Function 8 in 1 Camcorder And Tiny DVR! Even Has Remote Control And DVR Functions! • 11 MP digital still camera • MP3/WMA digital audio player • Voice recorder • SD/MMC card reader • Portable DVR • Remote Control • 2.5 Inch Swivel Screen • Tiny! - 4/ 1/4 X 2 1/4 x X 1 inches! These new generation sharp-looking executive pens called PenTek also function as a high quality digital audio recorder in either 20 or 60 hour models. We have offered tiny audio pen recorders in the past and there is a lot of cheap ones on the market but there is NOTHING like this one! Starting at $129.95! New Generation PI PC Recorder Turns Your Computer Or Laptop Into A High Tech Telephone Recorder With Amazing Options.- $149.95 NAIS MEMBER PRICE: $74.95. MORE SPECIAL DEEPLY DISCOUNTED PRICING! Just Released For 2006!! -High Grade- Top Quality! • FM Radio Receiver • Up To 14 Hours Video Recording Time In One Small Package! 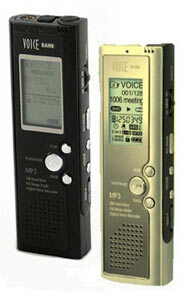 • MP3 Player And High Definition Movie Player • World's Slimmest! A lot of bug detectors have flooded the market place but there is nothing like the new generation CounterTek Pro! Using new generation fuzzy scanning technology, the CounterTek Pro is specially manufactured for our specifications. The new COUNTERTeK Pro detects virtually every RF “bug” threat available today sweeping at an amazing range of from 500 Mhz to 7.2 Ghz and sweeps for both digital and analog bugs. EVEN MORE DISCOUNTED EQUIPMENT AND GEAR! NOTE: ALL DISCOUNTS MUST BE TAKEN AT THE TIME OF SALE!